Celebrate your event with Venetian night flair! Step through the doors of this beautifully restored theater in downtown Hillsboro and you’ll be transported to the days of regal elegance … with a modern twist. 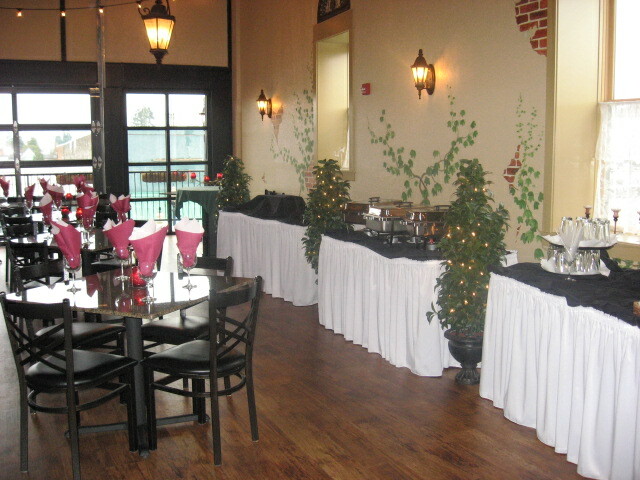 A jazzy bistro and bar on the main floor is a great place to meet your bridesmaids for lunch or happy hour. Afterwards, take a tour of the facility and plan your event. The upstairs Piazza room seats 100 and opens up to a balcony with views of Main Street. You can even rent the theater which seats 400 (including wheelchair access). Very friendly owners, good banquet rates and delicious food – you and your guests will be very happy. Tour the Venetian Theater online now.